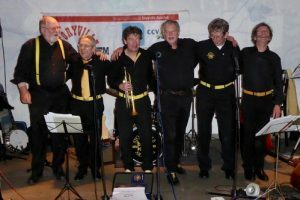 STORYVILLE JASSBAND from HOLLAND, who gave us a wonderful evening back in August 2015 are on tour and back here again this FRIDAY, 28th APRIL 2017 at our FARNBOROUGH JAZZ CLUB. 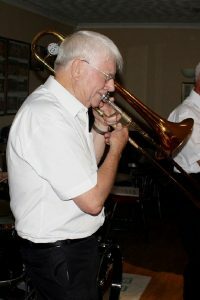 The band members are MICHEL MULLER (trumpet/vocals), HENK VAN DE VEN (clarinet), PETER DOBBE (trombone/ guitar/vocals), HENK VAN MULLIGEN (banjo), HEIN VAN ROOIJEN (double bass) and STEF GEURTS (drums). 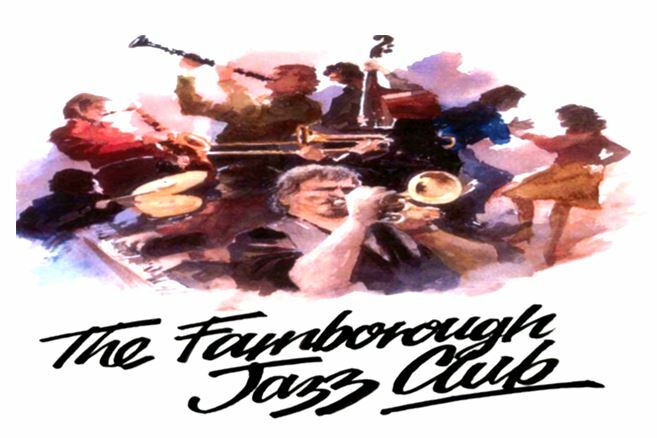 It will be Michel’s first time of playing here at Farnborough, but Stef was here before with the Limehouse Jazz Band back in 2014. I’m looking forward to seeing them again, if you read my newsletter about their evening here in August 2015, you will see I tell of them bringing the ‘house down’. I said how their band leader for 40years, Ruud Nieuwenhuijzen, was ill with ALS (cannot eat or speak, except through a computer). He was in the audience with his wife and friends. I am so extremely saddened to learn that he died in July 2016. So I should like you all to join us on Friday to give the band a happy welcome and let them know we intend to give them a good time! ALS, or amyotrophic laterals sclerosis, is a progressive neurodegenerative disease that affects nerve cells in the brain and the spinal cord. A-myo-trophic comes from the Greek language. “A” means no. “Myo” refers to muscle, and “Trophic” means nourishment – “No muscle nourishment. 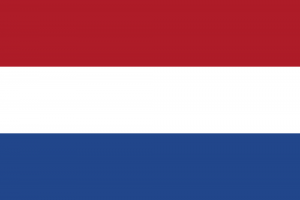 This entry was posted in Storyville Jassband (Holland) on April 23, 2017 by Diane. Here’s wishing you all have a happy day today – on this year’s Saint George’s Day. I’m off for my celebration down at the local pub – Ye Olde Whyte Lyon with Keith !!!! This entry was posted in Uncategorized on April 23, 2017 by Diane. Happy 91st birthday, to Your Majesty, Queen Elizabeth II. 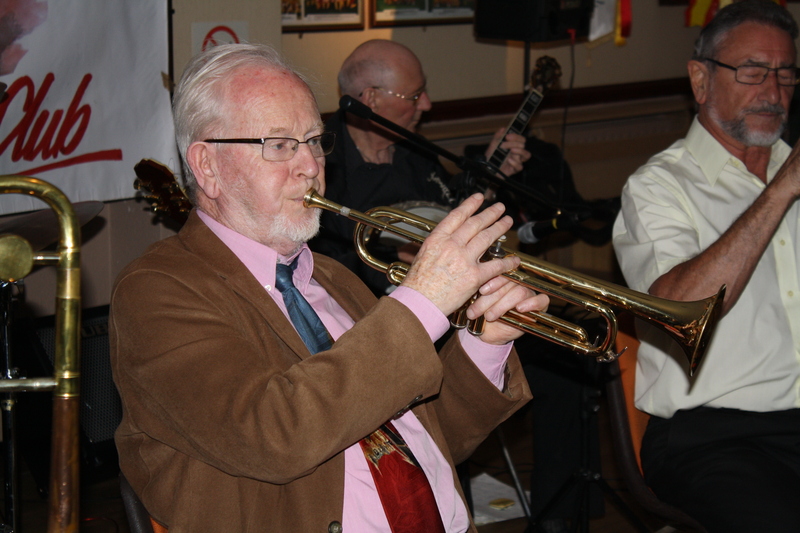 Band leader Bill Phelan, seen here playing trumpet with Johnny McCallum on banjo and Alan Cresswell on clarinet with ‘Bill Phelan’s Muscrat Ramblers’ at Farnborough Jazz Club (Kent) last 27th May 2016. Photo by Mike Witt. ‘BILL PHELAN’S MUSKRAT RAMBLERS’ will be with us at FARNBOROUGH JAZZ CLUB tonight, Friday, 21st April 2017. Band leader, BILL (trumpet & flugabone) will have with him ALAN CRESSWELL (clarinet), JOHN FINCH (trombone), ANDY LAWRENCE (double bass), JOHNNY McCALLUM (banjo & guitar) and PAUL NORMAN (drums). Oh, I will be back hopefully later to tell you more, but Keith has just popped his head round the door to say car is not working and I have a school run today – before ‘running’ the club tonight, so need a car desperately today!!!!!!!!!!! Back again and will leave the last sentence on, because the reason for a ‘dead car’ was I had left lights on last night!!! My saviour was purchasing a great ‘Power Pack’ from Halfords a while back and am extremely grateful today that I did. So go and treat yourselves, buy one – you never know when you are going to need one. Now about our Muskrat’s, well if you read my newsletter about the last time they played for us, you will get the gist of how much fun they have, ensuring audiences have fun too. I just re-read it and thought I had better fill you all in (especially his wife) about Andy and my (innocent) ‘private country joke’, it conjures pretty naughty thoughts. I was going to dear ol’ Dipper’s funeral and was unable to find the crematorium (in Leatherhead, Surrey). I had been going round and round in circles, so stopped a chap, walking his dog, to ask the way. After he gave directions, we both suddenly realized we knew one-another, but when you meet someone out of context, well – yes, you’ve guessed, it was Andy – in his dog walking country gear ha ha – he thought he looked smart too. Seriously, he did look lovely in his smart country-gent gear. See you all tonight. This entry was posted in Bill Phelan's Muscrat Ramblers on April 21, 2017 by Diane. 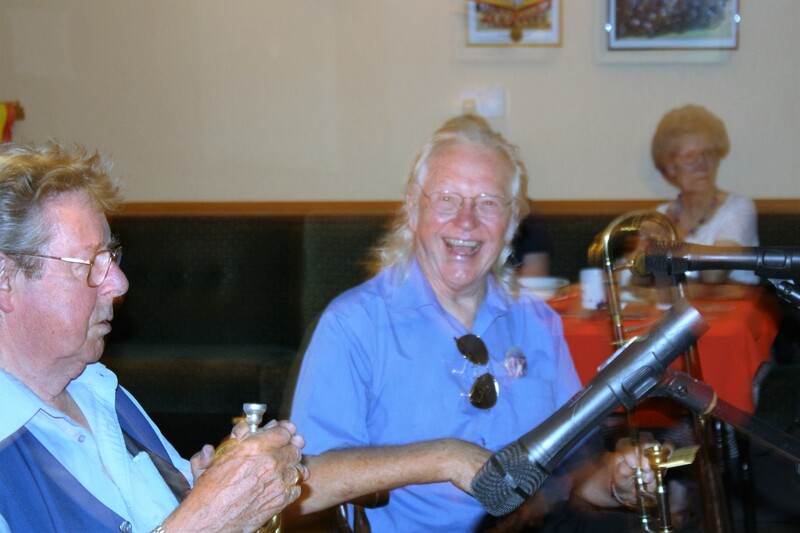 leader & trumpeter MICHAEL “HOT LIPS” ETZEL, seen here exchanging tips with fellow trumpeter, Colin Dobson (& wife Jo) of Billy Cotton Band Show Fame. Photo by Mike Witt. 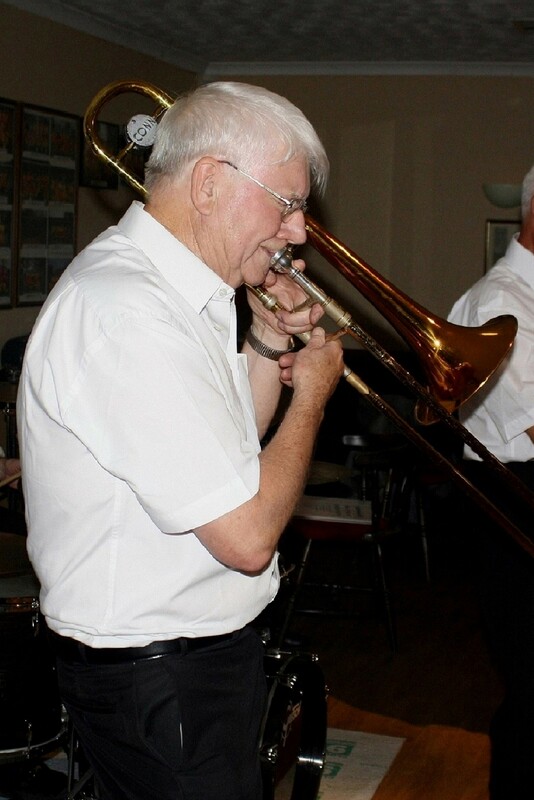 ‘HOT LIPS OLD-TIME JAZZ’ are again on tour from Munich, Germany and they plan for FARNBOROUGH JAZZ CLUB (Kent) to be the last show of the tour. It will be their second visit to us next Friday, 7th April 2017 (from 8:00pm). The band’s line-up hasn’t changed in 27yrs, being led by MICHAEL “HOT LIPS” ETZEL(trumpet & vocals, BOB STRAUB (clarinet, alto &bass sax), HANNES EICKHORST(trombone), HEINI “THE TINY” BUCKENMAIER (drums), OTMAR “GEORGE” DICKER (d.bass) and WOLFGANG E. OTT (banjo). What a fabulous evening we had with them, back in 2015. 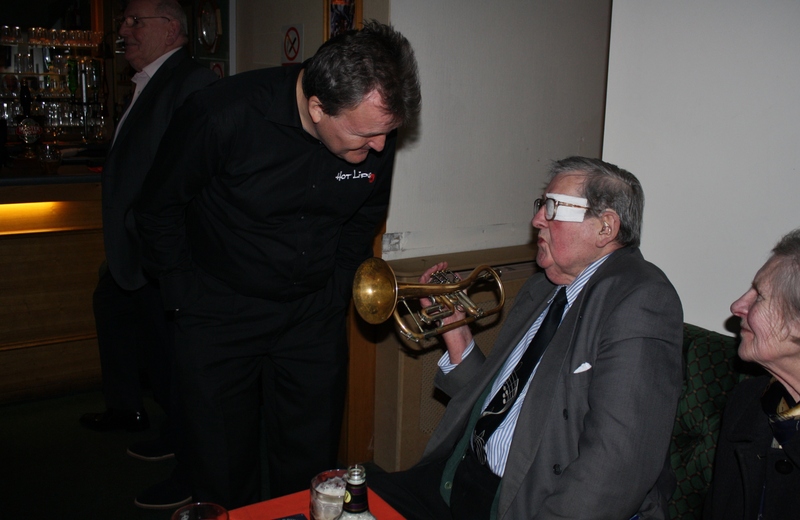 I quoted in my newsletter about that evening, “Another great evening of jazz”. Why not join us to enjoy that International flavour we proudly advertise at Farnborough and give ‘Hotlips’ another warm welcome. £10 entrance and several hours of wonderful jazz will be your reward. We have a friendly atmosphere, dancing, happy bar staff with club prices and free off-road parking. Go on spoil yourself, give us a visit, you’ll love it. This entry was posted in Hot Lips Old Time Music from Germany on April 1, 2017 by Diane.